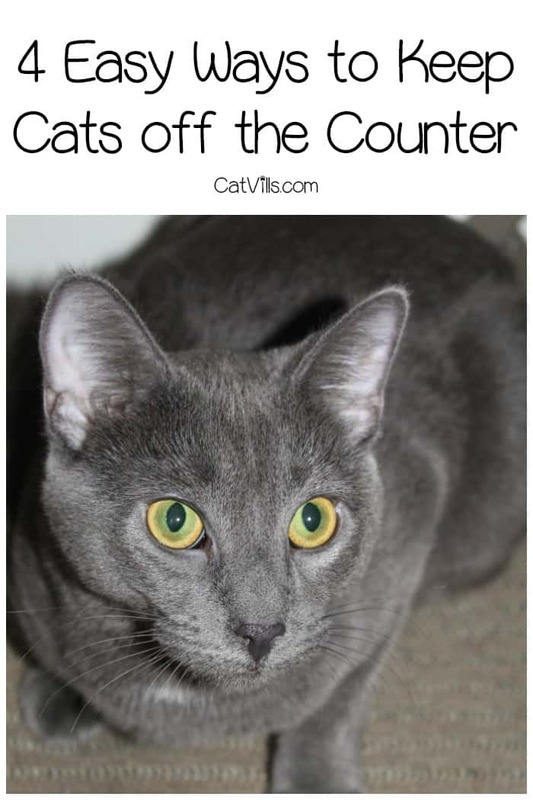 Keeping cats off the counter is something that many cat owners battle with on a regular basis. While some owners couldn’t care less where their cats go, other owners aren’t keen on the idea of paws that have been in the litter box getting all over the counter. It can be difficult to keep those kitties off the counter. Keeping cats off the counter isn’t a lost cause, though! Read on for some tips on how to make it happen! As I mentioned in another post, training is all about consistency. You’ll need to find ways to keep the cat off the counter even when you’re not around. The following deterrents can help keep your cat off the counter without the need for you to be there on constant guard duty. There are several motion activated deterrents on the market. Some use citronella spray and some use compressed air. I’m a fan of the compressed air variety. 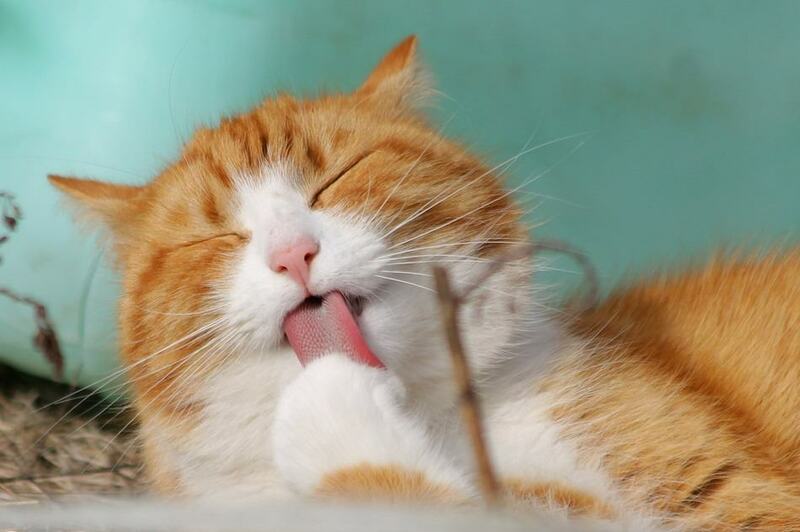 Another good choice is SSSCAT, which uses a safe odorless non-toxic spray. For one thing, I think citronella is stinky. For another, even though it’s natural, there’s always the possibility that citronella could get in your cat’s eye, nose, or mouth. Get a motion activated deterrent that uses compressed air. Simply set the battery operated device – or devices – on the counters where your cat normally jump up. The compressed air burst will startle the cat. An oldie but a goodie, double sided sticky tape can be an effective tool for keeping cats off the counter. Cats are tactile creatures, and they HATE the feel of sticky tape on their paws. The downside to this is that depending on how stubborn your cat is, you might have to change out the tape a few times a day. It can also leave a residue on your counters, so be prepared for post-training cleanup. Like double sided tape, cats hate the feel of aluminum foil . It is a surface that they can’t get a good grip on, so they don’t like to be on it. Simply line the edges of your counters with aluminum foil. All it takes is a little scotch tape to secure it. The cats hate it, and it’s easier to clean up than double sided tape. Citrus fruit peels can be used for keeping cats off the counter. Like citronella, citrus fruit peels are not a favorite of cats. The downside to this is that in a few hours, the peels dry up, and the effectiveness is lost. To extend the life of the peels, you can add a few drops of water to the peels to rehydrate them, but be aware that the effectiveness will not be as potent. So we’ve covered deterrents, but what if our cat just stayed off the counters altogether? You can make it happen. Your cat gets on the counter to see what’s happening. Consider putting a chair nearby that’s designated for the cat. A cat tree would be another good option if you have a big kitchen. Every time your cat jumps on the counter, move her to the chair or tree. Over time, she’ll figure out that that is HER spot. Cats are inquisitive creatures, so remove anything interesting from the counters. Wash your dishes immediately after you eat. Always be sure the faucet isn’t dripping – some cats love to drink water from the faucet. In addition, NEVER pet your cat when she jumps up onto the counter. Some owners want their cats to stay off the counters, but then they turn around and pet their cat when they jump up there. That only reinforces the problem. Another reason that cats get on the counter is to be by their people. 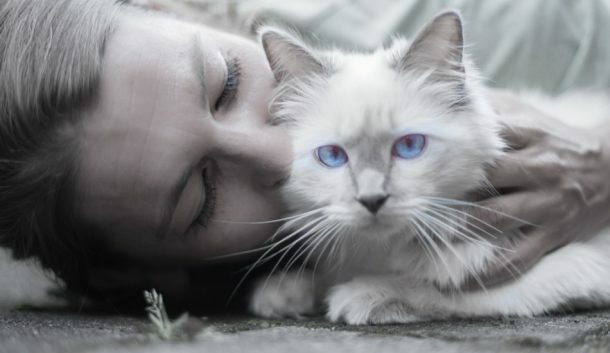 If your cat is always jumping up onto the counter for petting, consider giving your cat more time before going into the kitchen. A solid 10 minutes of petting and snuggling could be just the thing to keep the kitty off of your counters. You might think that keeping cats off the counter is a lost cause, but don’t despair. By using a combination of deterrents, an alternate area, and some extra attention before going into the kitchen, you can make keeping cats off the counter a reality. Give these tips a try, and you’ll most likely see some great results. Have you already found the perfect solution for keeping cats off the counter? Share your tips and experiences below! We only ever had one cat that had to be reminded not to go on the counter. Teaching them with a no and removing them was always sufficient. This is great advice for cat owners. OUr current cat lives mainly outside so we dont have this issue. I will share this with my dad. HIs cat is always on the counters! My daughter’s two cats live with me and interestingly, they do not go up on my counter. One of them does like the kitchen table and the other comes up to see me when I am working on the dining room table, but neither is worrisome. Thanks or the tips, as I know cats do not like citrus, so that would be my first choice to try if I wanted to deter them from jumping up where I didn’t want them to be. These are cool tips. I especially like the one with aluminum foil. Simple and smart! I did not know that cats hate aluminum foil! I am going to do that. Thanks for these tips. My cat does not usually go up the counter, but when she does, it drives me nuts! I never liked having cats on the counters or tables, it was being on top of teaching them not too! Great tips! This is brilliant. I don’t own a cat right now, but I have in the past and it was so hard to keep him off the counters. Now I know some tricks for my future cat owning days. It drives me insane for my cat to get on my kitchen counter where I prepare food. Yuck! I like the idea of using citrus fruit peels. They’d make my kitchen smell good. Cats are so agile that I imagine it’s not easy to keep them off counters. These are some great tips for doing so.